This thesis splits into two major parts. The connection between the two parts is the notion of “categorification” which we shortly explain/recall in the introduction. In the first part of this thesis we extend Bar-Natan's cobordism based categorification of the Jones polynomial to virtual links. Our topological complex allows a direct extension of the classical Khovanov complex (), the variant of Lee () and other classical link homologies. We show that our construction allows, over rings of characteristic , extensions with no classical analogon, e.g. Bar-Natan's -link homology can be extended in two non-equivalent ways. Our construction is computable in the sense that one can write a computer program to perform calculations, e.g. we have written a MATHEMATICA based program. Moreover, we give a classification of all unoriented TQFTs which can be used to define virtual link homologies from our topological construction. Furthermore, we prove that our extension is combinatorial and has semi-local properties. We use the semi-local properties to prove an application, i.e. we give a discussion of Lee's degeneration of virtual homology. 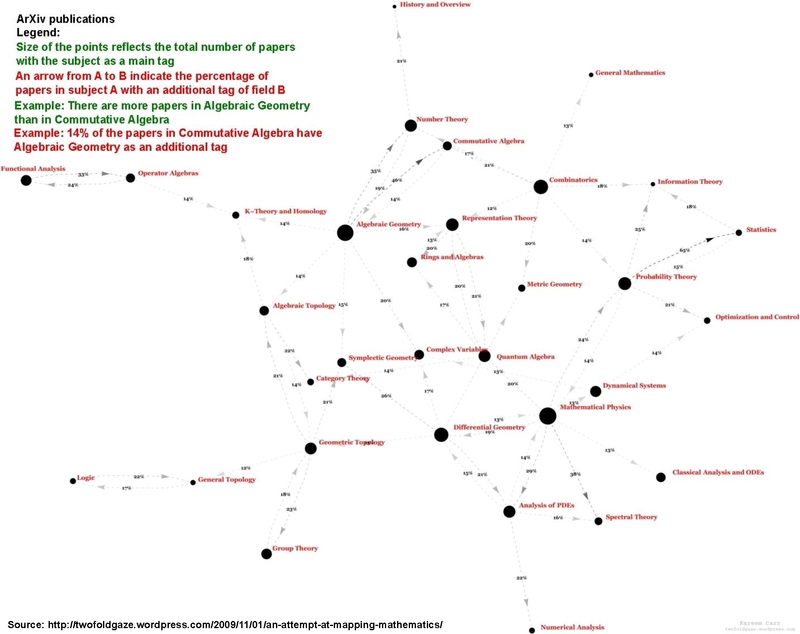 In the second part of this thesis (which is based on joint work with Mackaay and Pan) we use Kuperberg's webs and Khovanov's foams to define a new algebra , which we call the web algebra. It is the analogue of Khovanov's arc algebra . We prove that is a graded symmetric Frobenius algebra. Furthermore, we categorify an instance of $q$-skew Howe duality, which allows us to prove that is Morita equivalent to a certain cyclotomic KLR-algebra. This allows us to determine the split Grothendieck group , to show that its center is isomorphic to the cohomology ring of a certain Spaltenstein variety, and to prove that $K_S$ is a graded cellular algebra. Interesting integers are shadows of richer structures in categories. The basic idea can be seen as follows. Take a “set-based” structure and try to find a “category-based” structure such that is just a shadow of the category . If the category is chosen in a “good” way, then one has an explanation of facts about the structure in a categorical language, that is certain facts in can be explained as special instances of natural constructions. As an example, consider the following categorification of the integers . We take FinVec for a fixed field . We observe that . But a lot of information is lost from to , e.g. the first allows us to say how two vector spaces are isomorphic (think about non-trivial isomorphisms). In our context this “richer structure” can e.g. be occur in the following example. A web, e.g. the bottom and top boundary of the figure below, can be seen as an intertwiner between tensors of certain representation of , denote by and . In the figure below we show one web between and (both as short hand notation just denoted and ). In the picture there is only one web, but a foam (a type of singular cobordism) can tell “how” they are equal.